Digging though my stash of filters I came across my all but forgotten Red 29 filter! 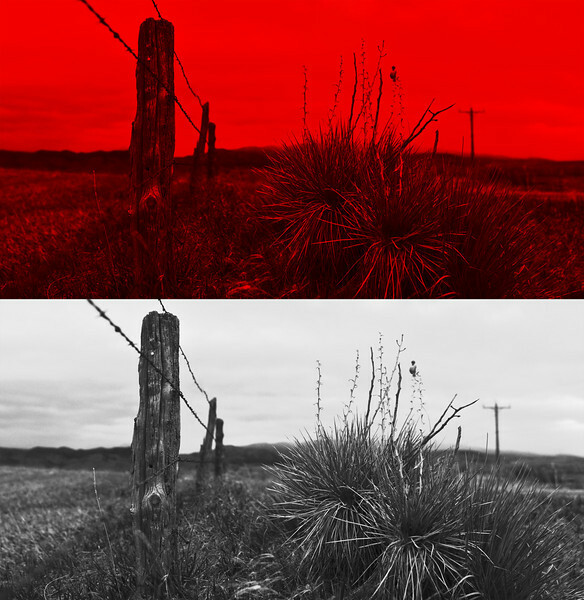 This filter creates the most amazing contrasts for black and white photos. The images before the black and white conversion looks near apocalyptic, while the black and white is a nicely contrasted black and white! I put both versions of the shot side by side so you can see the before and after. Really neat; love the comp, the filter effect and the side-by-side collage! Very cool. I agree, apocalyptic movie poster! Apocalyptic was the word that came to mind before I read your caption Michael, the top one could be a movie poster!